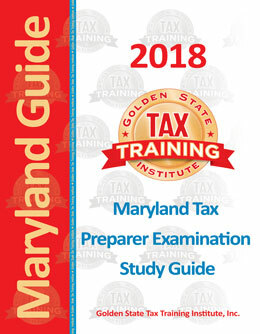 Your satisfaction is always 100% Guaranteed at Golden State Tax Training with all our products. Order study guide online or by phone, study materials sent to you by USPS and take the Exams online. When ordering the book option, by default you get access to the Electronic Option. * - Guarantee on study guide is valid for 60 days from the date of purchase or until an exam has been taken. We will refund the purchase price minus our shipping and handling costs..